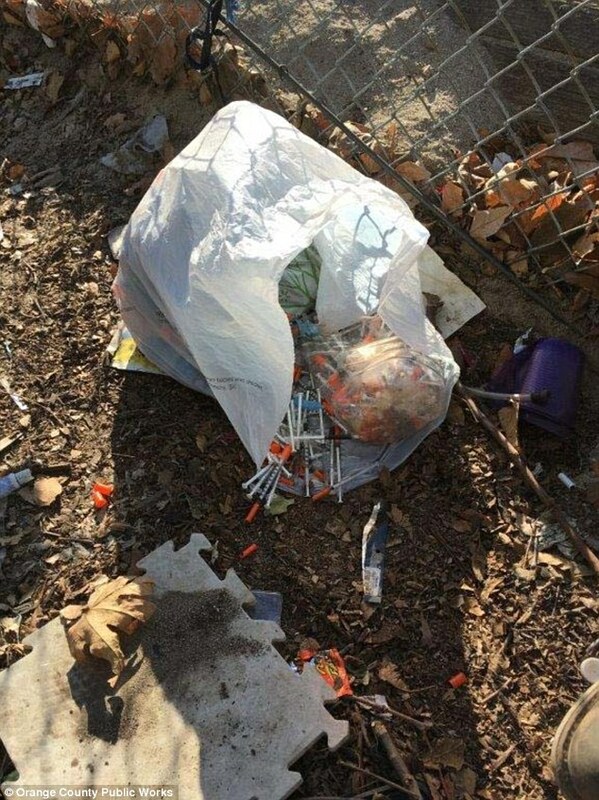 More than 400 tons of debris, 13,950 needles and 5,279 pounds of hazardous waste were discovered in Santa Ana River Trail in California between January 22 and March 3. 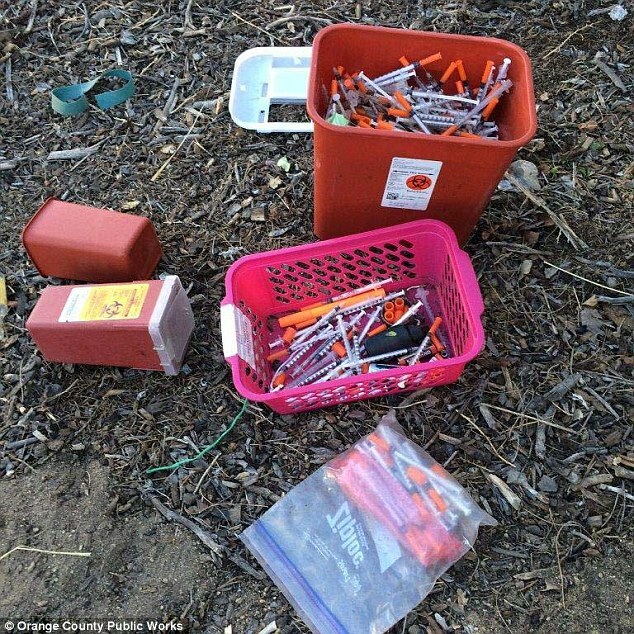 The waste was from a more than two-mile stretch of bike trail from around the I-5 in Orange to Ball Road in Anaheim, the OCR reported. Hazardous waste includes human waste, propane and pesticides. 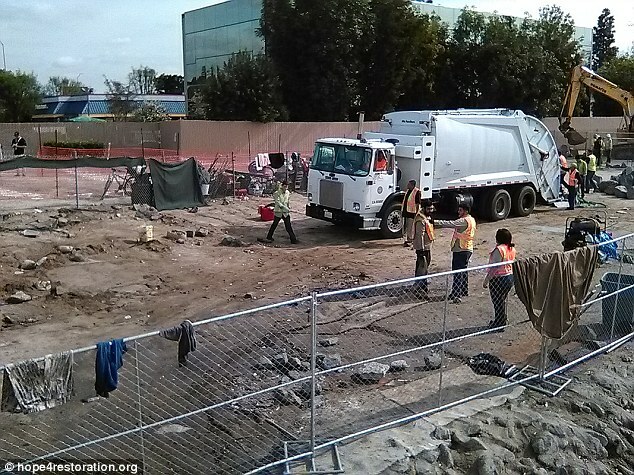 The Santa Ana River Trail was once populated by homeless people, but the encampments were dismantled in late February. 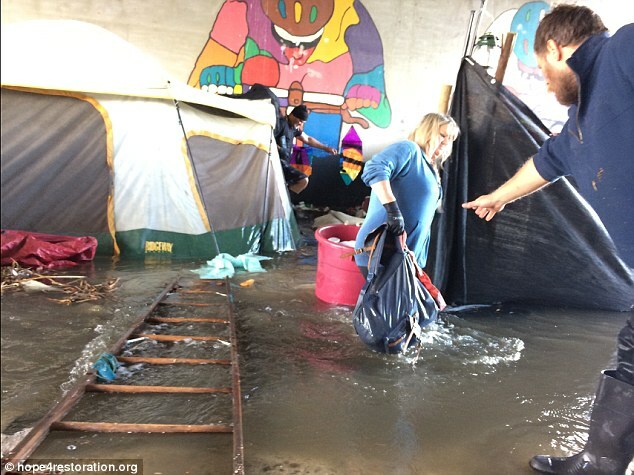 The bike path once was home to over 700 homeless people - most of those people are being housed temporarily in local motels, The Inquisitr reported. Some other homeless people have gone to shelters, while others are in treatment centers and mental health facilities. Some homeless residents called the bike trail home for as long as a decade. 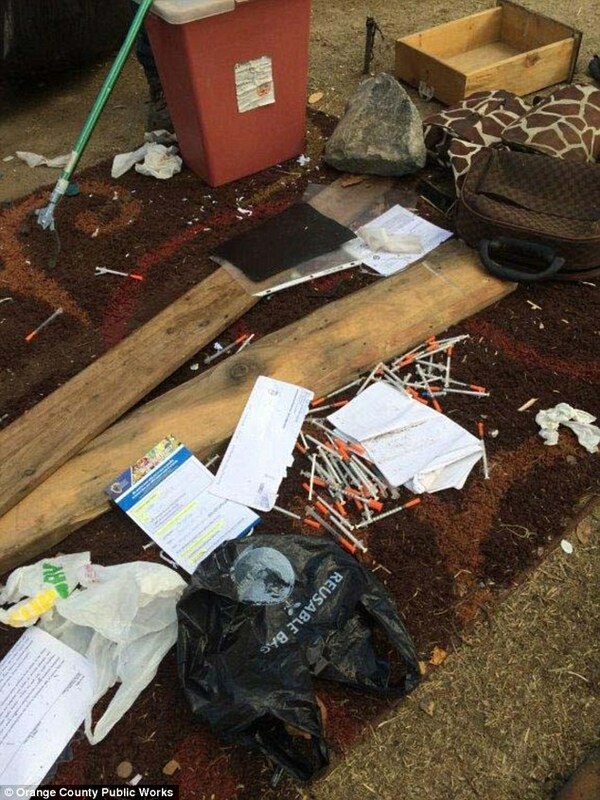 The ever-increasing homeless encampment prompted city officials to take action. The cleanup is the beginning of an environmental remediation effort that aims to remove two to three inches of soil in the project area and tree trimming. 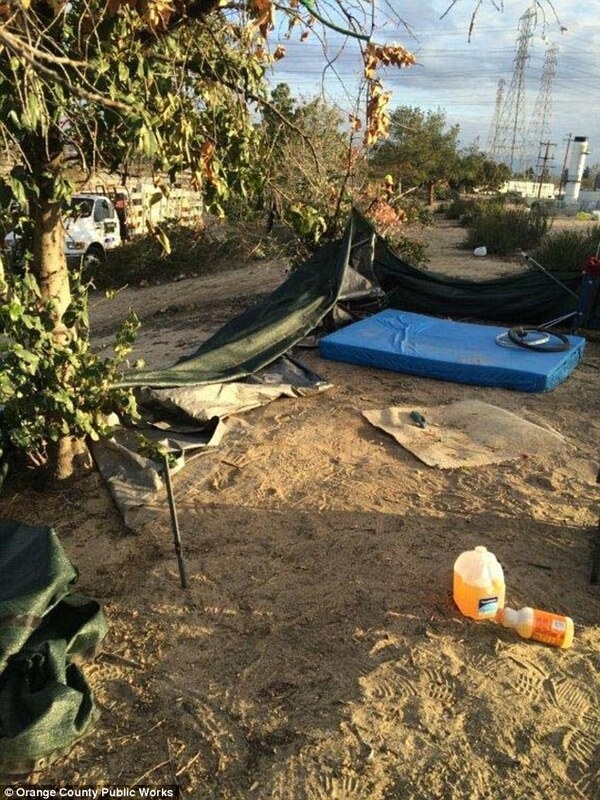 'It’s becoming part of the permanent landscape in those communities and there is no way we are going to allow Orange County land that is supposed to be used by residents to be occupied by the homeless,' Todd Spitzer, who sits on the Orange County Board of Supervisors, said.